Discussion in 'Gossman Knives' started by PatrickKnight, Mar 10, 2019. I have seriously been thinking about trying to trade my Polaris for a TC. The Polaris is just a bit to short in height for my liking, and I am hoping with the taller blade stock normally used on the TC it might fit better. Gruntinhusaybah, wvtracker14, M.Hatfield and 3 others like this. Seems logical to me. Similar handles and blade length the TC has a taller height and a different profile of course. Can't go wrong with either or the Orion IMO. wvtracker14, M.Hatfield, VAsticks and 2 others like this. Just curious. Why do you prefer a taller blade profile? Is there something you’re not currently able to do with the Polaris, or is it just aesthetics? I personally like the Polaris a lot (so much so I just bought a second one for a backup). That spear point and blade profile allow you to get in tight places with ease. Coupled with a thinner blade stock, it’s just about damn perfect for a blade that size. That being said, I do want a TC, mainly because I like Tusker blade profile, but not as a replacement to a Polaris. @Pharmer has it right, in that you just can’t go wrong with either. wvtracker14, M.Hatfield, PatrickKnight and 2 others like this. Throw a Deer Creek in the mix! Andster, wvtracker14, bowitis and 3 others like this. Its mainly due to my stupid hand, I have a narrow palm with long fingers. 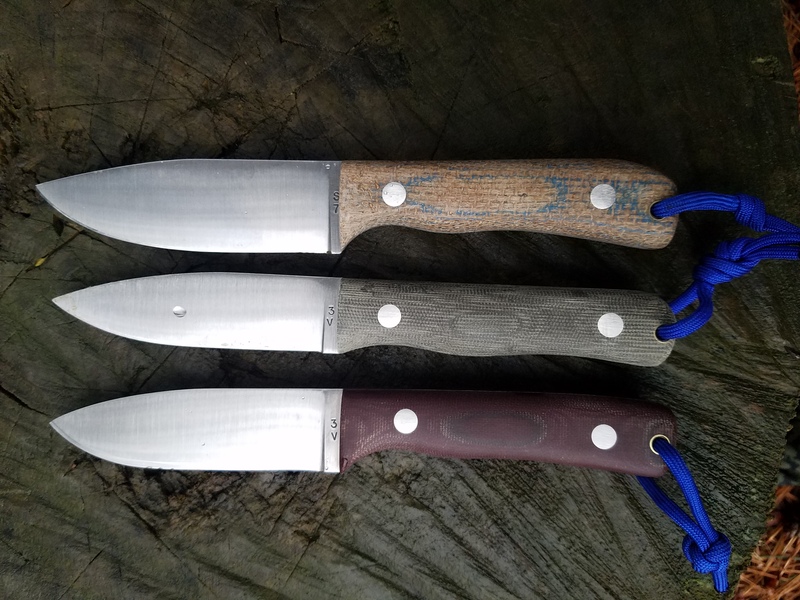 The Polaris, I have as I know all of Scotts knives vary due to the handmade nature of them leaves openings in my hand so no matter how hard I hold it I find it wants to spin or turn when carving into wood if that makes any sense at all. Over all I LOVE the blade but if the handle doesn't fit the user then how useful is a great blade? I find if the blade is a bit taller right where the scales start it fills my hand better over all. Its only about the first inch to inch and a half of the handle where my hand is left wishing for more to hold onto. Kona9, wvtracker14, M.Hatfield and 2 others like this. Right on. In that case, though I haven’t held them all, a TC, Deer Creek, or even Puukko should fill the hand a bit more, while still providing you one of the best tools around. Let us know what you end up going with! wvtracker14, ArmyMacE, M.Hatfield and 3 others like this. wvtracker14, M.Hatfield, PatrickKnight and 1 other person like this. I love the size of both the TC and Polaris. My Polaris is just about perfect as an EDC fixed blade but I certainly agree something a bit different could work. Hard to go wrong with a Gossman! wvtracker14, Fixedblade, ArmyMacE and 4 others like this. Agreed completely with you cant go wrong with a Gossman. Since I got my Polaris I have retired most all of my other fixed blades with the exception of my F1s. wvtracker14, M.Hatfield, ArmyMacE and 2 others like this. As mentioned above the Deer creek is a good choice too if you want something larger and heavier. It's a great knife but I for whatever reason prefer a knife with a spine that's straight across the top. The deer creek has a dip in it. I prefer a 5" Tusker or a TC depending on how large you'd want to goover the deer creek myself. The new Kepharts are looking nice as well and I'm sure have a full handle. The puukkos I've had also had very full handles FWIW. wvtracker14, PatrickKnight, ugashooter and 2 others like this. if you want height then the WSK small has to be added to the pot 5/32 A2 steel. one of the most comfortable handles i have ever held. Gruntinhusaybah, Andster, wvtracker14 and 5 others like this. TC is about as hand-filling a 4” blade as I’ve ever held. Polaris is my baby, though. Sounds like a TC would fit the bill for you though. ugashooter, ArmyMacE, PatrickKnight and 1 other person like this. Don't trade Just get a TC so you can try them side by side and see. I bet you can borrow one here. Then you will be better informed without risk of letting your polaris go. M.Hatfield, Gruntinhusaybah, ugashooter and 4 others like this. I wear an extra large glove. I consider the Deer Creeks handle to be the best fit for me. 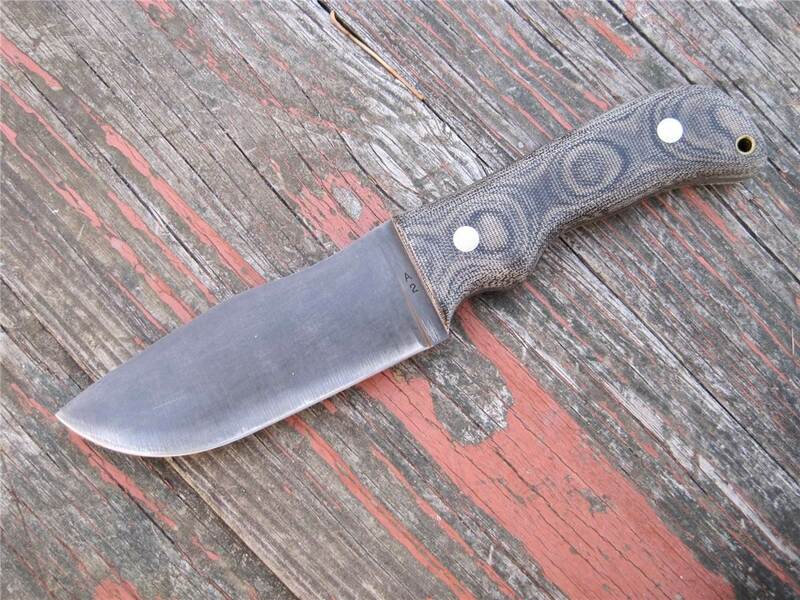 I suggested to Mr Gossman to make a version of the Tusker with a Deer Creek handle and he has a couple times. I’m always looking for one. I have recently acquired a Tusker Companion and it definitely has a more filling handle for us big hand guys. M.Hatfield, PatrickKnight, ugashooter and 1 other person like this. I love my TC. One of the best knives I’ve ever used, and a big reason for that is the handle and blade design. They’re just right! ArmyMacE, PatrickKnight, ugashooter and 3 others like this. I loved the blade, but the handles felt a bit small on the TC. I wear a size M to L glove and it didn't feel hand filling. The CFK is very hand filling and I think the same blade length, maybe slightly longer. I have't been able to play with a Gossman Puukko yet but I want to. We really need to make a post with the general specs of each model to help people figure out stuff... even from pictures it's kinda hard to tell. PatrickKnight, Odd Fellow and ugashooter like this. That's not a bad idea to give a rough idea of the handle sizes, even though they are vary if we have 15 different Polaris (just a random number thrown out) handles measured we can establish a pretty good idea of where they will be at. Hand crafted is hand crafted but yeah you can hopefully get a good idea. S.Gossman and PatrickKnight like this. That was surprising to me as I wear a L/XL glove and the TC handle really fills my hand. I also have a CFK and I just compared the two and found that the radius at the palm swell is significantly greater. The CFK is also more contoured. It’s actually a shorter version of the Deer Creek handle, which to me is pretty much the gold standard. Yeah I like the CFK handle. With the TC its how thin that front cut out makes the handle. The top TC used to be mine. This isn't my picture. The handle height wise is fairly thin at the front pin. ArmyMacE, M.Hatfield, S.Gossman and 2 others like this. My Polaris is straight perfection. Though adding a matching Python handled Tusker..
ArmyMacE, M.Hatfield, Vanitas and 4 others like this. ArmyMacE, S.Gossman, M.Hatfield and 1 other person like this. from my understanding there are only 5 to 10 of these out there and this one is the most comfortable handle that i have on a knife.